Seven Drawer Chests There are 17 products. 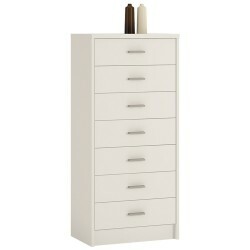 This New York Seven Drawer Slim is amazing value for money and these prices will be very hard to beat. Made from high Quality MDF and comes in a variety of colours. Best for every room. Comes with big castors, All Drawers are Metal Runners. 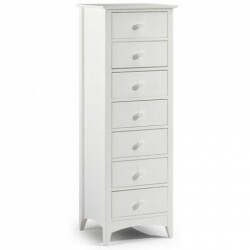 This New York 4 + 2 Drawer chest of draw is amazing value for money and these prices will be very hard to beat. Made from high Quality Solid MDF and comes in a variety of colours. Best for every room. Comes with big castors, All Drawers are Metal Runners. This New York Seven Drawer chest of draw is amazing value for money and these prices will be very hard to beat. Made from high Quality Solid MDF and comes in a variety of colours. Best for every room. Comes with big castors, All Drawers are Metal Runners. 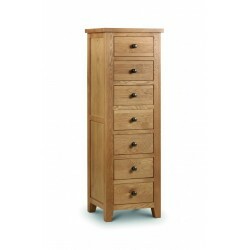 This Bobby Seven Draw Slim Chest is amazing value for money and these prices will be very hard to beat. Made from high Quality chipboard and comes in a variety of colours. Best for every room. Comes with big castors, All Drawers are Metal Runners.